The connection between your battery and the electrical items it powers is relatively complicated, and relies on the correct functioning of several components: battery, alternator, and the ignition modules. 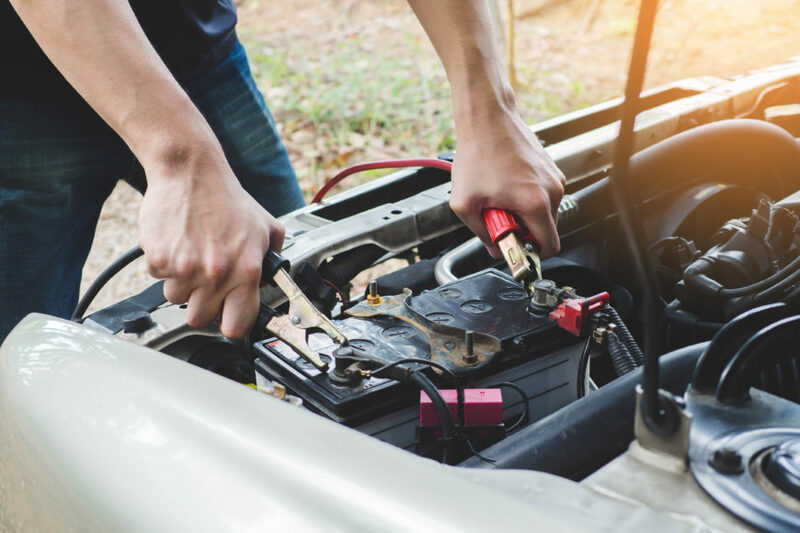 There are many factors that put pressure on your car battery and surrounding components, slowly causing wear and tear and loss of performance. Edmonton’s sometimes harsh weather and driving conditions require your battery to work a lot harder, and such conditions often lead to the need for more frequent servicing of your battery and ignition modules. Various features found in some modern vehicles are also known to cause your car battery to degrade or wear out faster – entertainment systems, advanced engine trouble detection systems, and luxury electrical items, all put a lot of pressure on your car’s battery. The degradation of performance, or even total failure, of your vehicle’s electrical accessories is usually the first sign that your battery is experiencing problems. Dimming or flickering headlights and interior lights, and/or the warning lights on your dashboard, indicates that your battery or one of its related components is failing. Conveniently located in Sherwood Park, Park Muffler Radiator Brakes & Tires has been a trusted locally owned and operated full-service care repair and servicing centre through out Edmonton, Sherwood Park and Fort McMurray since 1979. Our large Edmonton workshop is fully equipped to handle any aspect of battery and ignition diagnosis, servicing, and repair. Whether you need alternator repair or testing, troubleshooting, battery/load testing, alternator or battery replacement, or any other vehicle servicing, the friendly and highly-experienced team at Park Muffler in Edmonton can have you driving away with the peace of mind of having your battery components fully inspected, repaired, or replaced. Our large car servicing facility has the space, equipment, and expert personal to have most battery-related issues seen to while you wait. We pride ourselves on clear communication and honest diagnosis, so you will understand exactly what your vehicle’s issues are and the best way to fix them. The mechanics at Park Muffler Radiator Brakes & Tires are professionally trained in the complete service and repair of automotive batteries, charging, and starting systems. If you think you are having issues with any of the charging and starting components system bring drive your vehicle to our automotive repair shop or contact us today. Our trained technicians will be glad to assist you in getting you back on the road safely. To ensure trouble-free driving and starting, be sure to have your battery checked. The electrical integrity of the alternator and starter should also be tested, and this is a great time to do it. Clean any corrosion from the battery terminals (or have your garage do it) and make sure all connections are tight at the beginning of the season.